Making the right choices for your money and family. Investing isn’t just for the ultra-rich and successful. 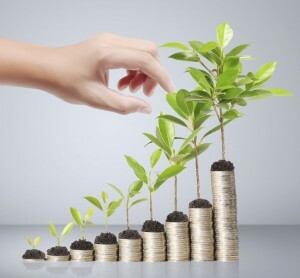 Anyone who wants to be financially stable and successful over the long term needs to know at least the basics about how to invest for the future. Otherwise, it’s going to be a struggle to make your money grow in the way you need it to grow to reach your life goals. 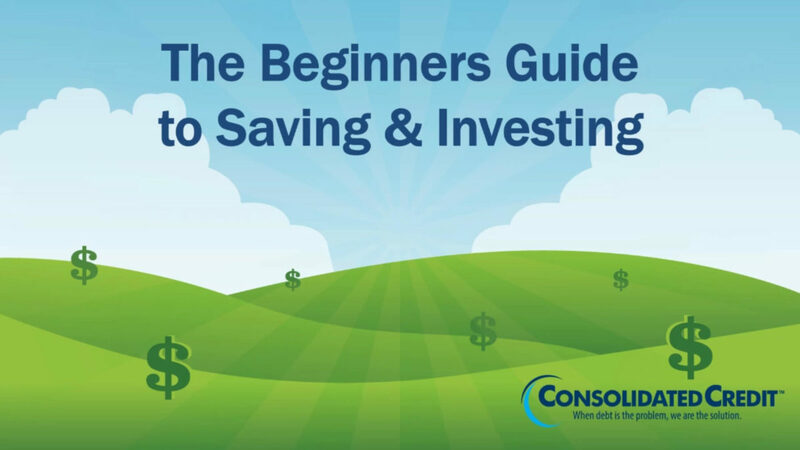 The information below provides a basic introduction to investing and different types of savings accounts and securities you can use to make your money grow. If you’re currently struggling with debt, it can be almost impossible to save up and invest for your future. We can help you get ahead. Call us today at 1-888-294-3130 to speak to a certified credit counselor. If you’re like most people you have a basic savings account in addition to your main checking or banking account. It’s where you set money aside for a rainy day. It even offers a small level of compound interest, so your money can grow over time. The problem is that the interest rate applied to almost any traditional savings account isn’t going to be enough to accomplish your long-term financial goals. In most cases, the rate is usually less than 1%. That just isn’t enough to help your money grow the way it needs to grow. In some cases, you may also have a Money Market Account (MMA) –or you may have this in place of a traditional savings account. 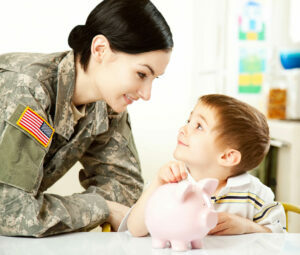 The benefit of an MMA is that you can often get a slightly better interest rate so your money grows faster. On the other hand, an MMA also usually has more requirements and restrictions, such as a bigger starting deposit amount or a higher minimum balance requirement. Even so, however, an MMA is still not enough to really get you where you need to be with your money. That’s where investing comes in. 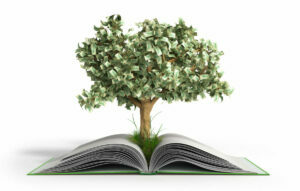 You find ways to help your money grow effectively so you can achieve the financial stability and success you deserve. One way to invest your money for long-term financial goals is with a long-term investment account such as a 401(k), traditional IRA or Roth IRA. When you put money into these accounts, it’s known as making a contribution. These contributions are then divvied up between different mutual funds that you select –or you can ask for the assistance of a financial planner. A mutual fund is basically like a pool of money that gets invested into different stocks, bonds and securities by a professional management team. As the mutual fund makes a profit, it pays dividends that go to the stakeholders. This is how your retirement money grows. The nice thing about these accounts is that you can invest in your retirement without having to personally play the stock market or provide the capital necessary for big securities on your own. Of course, you still have to select the mutual funds where your retirement contributions will go. If you’re in doubt, find an affordable financial planner or investment advisor to help you select the right mix of mutual funds for your money. 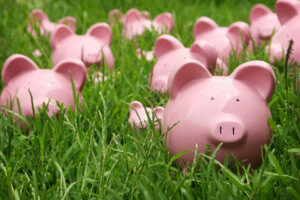 This is usually the next type of savings you establish in addition to your basic savings account(s). If your employer offers a 401(k), it’s always in your best interest to use it. If you’re in your 30’s and don’t have a 401(k) then consider private options like a traditional IRA or Roth IRA. In addition to basic savings account and long-term savings accounts like IRAs and 401(k)s, securities are the financial tool you use to make your money grow. A security is really just another name for an investment. It includes stocks, bonds and CDs. A stock is money you invest in a publicly traded company, while a bond is money you invest in a government body or organization. When a company is not privately owned, it has shares that are bought and sold on public stock markets. You can purchase shares of the company for a certain price. Then as the company grows and profits, you share in those profits in the form of dividends –the portion of the profit you’re entitled to based on the number of shares you have. Of course, if the company doesn’t grow then you don’t get your money back. If the company is still hobbling along, you can leave your money where it is in those stocks in the hopes they grow. Otherwise, if the company closes you can lose your money entirely. Stocks are usually consider a higher-risk investment because you have a higher potential for losing money. But the risk of stocks varies greatly depending on the company and industries you choose to invest in. An investment planner or wealth manager can usually help advise you on when to buy and cash out if you’re not comfortable doing it on your own. This type of investment happens when you give a set amount of money to a government body or business for a specific period of time at a set interest rate. It includes Treasury Bills, Treasury Notes, Treasury Bonds, and Investment-Grade Bonds –the first three of those are government-related while the latter is company-based. T-bills are short-term securities that typically have a term of less than one year and only pay interest at the end of the term. A T-note has a term of several years (at least two, up to 10) and interest earned gets disbursed every six months. A bond is the same as a T-note, but the term is more than 10 years. A Certificate of Deposit (CD) is similar to a bond in the way it functions, but it gets issued by a bank instead of from a particular organization. You give a certain amount of money that’s put into an account for a set period of time, with a set return on your investment that you will receive upon the completion of the term. CDs can have a term of just a few months or up to 5 years. CDs considered a fairly low-risk investment, so they can be a good place to start to get your money growing before you move on to bigger and better bonds and stocks. They’re also a good way to set a little money aside at a better growth rate than your regular savings account without the long-term loss of access you often face with bonds. There are two basic reasons why more people don’t invest –the first is lack of money and the second usually comes down to fear. With the right financial plan, the lack of money can be overcome even if you don’t bring home a huge sum in every paycheck. As long as your budget is balanced and your income isn’t being drained by debt, you can set money aside every month until you have enough to make an investment. For instance, you save up and purchase a one-year CD. At the end of the year, you have more money, so now you may be able to get another CD and a long-term bond. So really, often the biggest roadblock to investing is fear –a lack of understanding of how investing works paired with intimidation over complex markets and concepts of risk. And this is something you have to overcome, because you can’t afford not to invest. Consider this –experts say you need 75% of your yearly income for every year of your retirement if you don’t want to work. Even if you start putting money away in your 20’s it can be practically impossible to generate enough money to do this by age 67 with only retirement accounts on your side. You need additional assets like investments that can grow and increase in value over time so you have the wealth you need to live comfortably in your golden years.